I met Father Dimitrios when I was doing a ‘Now and Then’ workshop with Poppy, a Greek Community member, and thought that it would be great time to start ‘A Stranger a Day’ project. 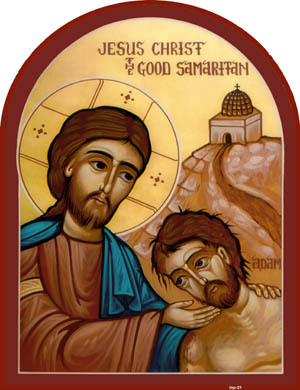 Father Dimitrios struck me as a kind and gentle man. As we stood together discussing our faiths, me being a Buddhist and he a Greek Orthodox, we both started to realise the similarities and shared values of each others’ faith. This was a lovely feeling just before Christmas, as Christmas for me is a time to connect and share with others, it’s a time to reflect and have gratitude for all the blessing in my life, and this meeting was one of those blessings. Father Dimitrios shared a very small part of his story with me. He arrived in Australia with his family on Christmas Eve in 1967, he was just 16 year old. He told me that he had left Greece in 1 metre of snow and it was -7 degrees and he arrived in a sweltering 46 degrees when he landed in Melbourne. “I didn’t know what had hit me”, he said. From a young boy Father Dimitrios had always wanted to be a priest, so as an Adult he pursued this calling and completed his seminary training in both Melbourne and Adelaide. 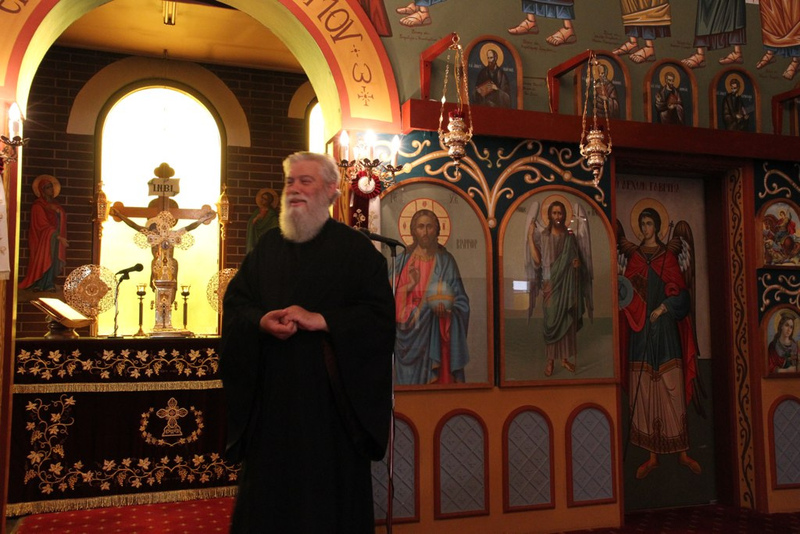 He has been the Greek Orthodox priest for the Riverland Greek Community for about 30 years now. As I entered the church I was overcome with the beauty the iconography that covered the walls and ceiling. It took me back to my early 20’s when I was backpacking around Europe. I spent most of my time visiting Art Galleries, Museums and any Church or Cathedral that I happened to pass. I became obsessed with Byzantine art which was the main feature in so many of the places I visited. So much so, that on my return to Australia I pursued this obsession and became a mosaic artist and recreated some of the traditional Byzantine art as mosaics. 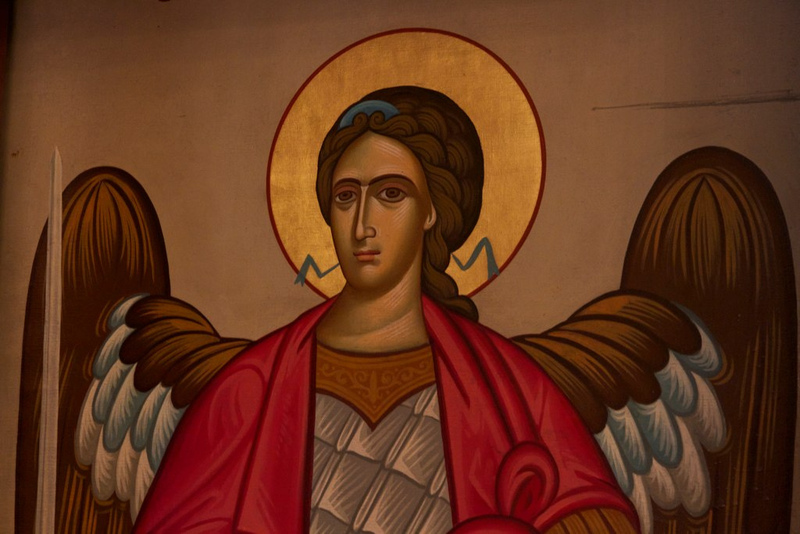 Poppy told me that in the late 1990’s, the Renmark Greek Orthodox church commissioned a traditional Greek iconographer to paint iconic murals throughout the church. “They are painted in the traditional Byzantine style and are deeply symbolic. They tell the story of the life of Jesus”. 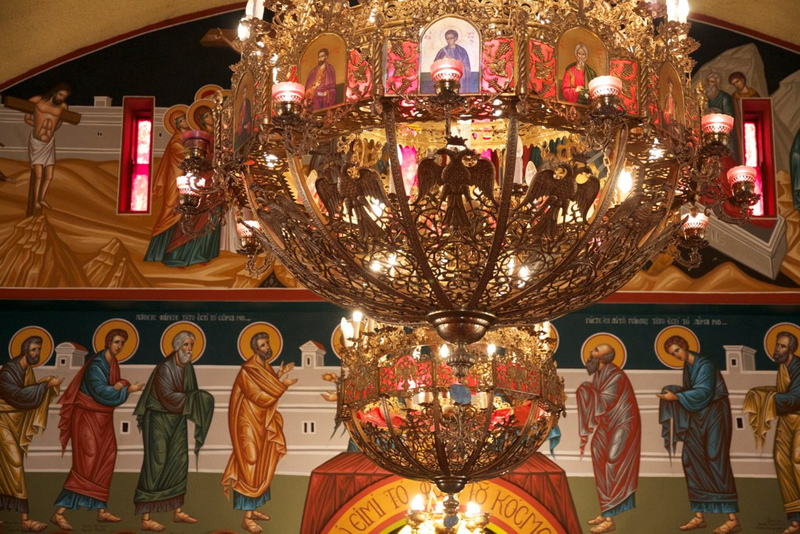 The Greek Orthodox Church has been a part of Australia’s multi-faith society since the late 19th century. In any case, what a wonderful first stranger to meet – and he is no longer a stranger to me now.